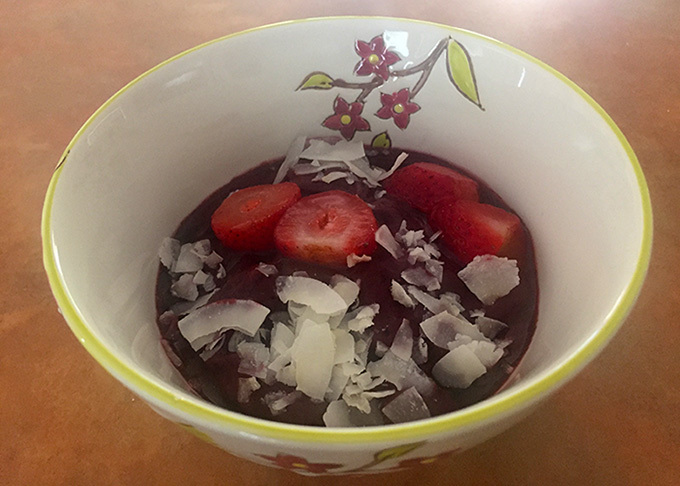 This is a super quick and easy Acai Bowl that is adapted from a Meghan Markle recipe. It is so refreshing in warmer months and makes you feel good. Don't over blend. The mixture should be very thick. Recipe adapted from Meghan Markle acai bowl recipe on http://eye-swoon.com/a-tig-moment-with-meghan-markle/.